April is Birthday Month around here with Ebby Lee's and Nixon's birthdays just three days apart. Every year I do a little "Birthday Interview" and I always look forward to seeing how they change! Ebby Lee will turn 5 and we'll have a blast celebrating!! Our church has an awesome Easter Egg-stravaganza. Think bounce houses, egg hunt, petting zoo...my kiddos had a blast last year (even though Nixon's face doesn't look like it! ha!). 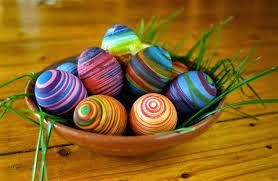 We'll decorate Easter eggs. Ours probably won't look THAT good, but we'll do our best! We'll celebrate Easter and our Risen Lord at church AND at home! 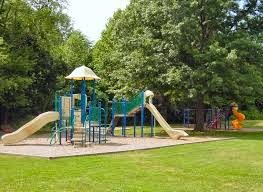 We'll spend a LOT of time at the park!! We'll get to celebrate Nixon turning the big 4!! 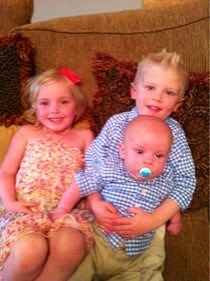 Mama MIGHT dress them all up in matching clothes on Easter Sunday too...ha! 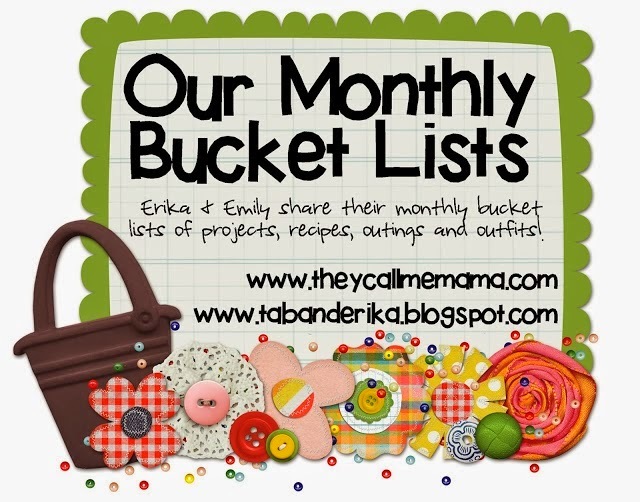 Don't forget to check out Emily's bucket list!! I'd love to hear what you're doing this month! And...before you go it's APRIL!! Which means...a NEW photo-a-day challenge on Instagram with a fun little twist! Andrea and I teamed up to start a photo-a-day challenge on Instagram back in January. We've been loving it!! It's super simple, ladies! You take a picture for the day and include the hashtag #thephotochallenge2014. Here's the FUN TWIST...At the end of the month, Andrea and I are going to choose our VERY favorite THREE pictures. Then we're going to have YOU GUYS vote on the winner!! The winner will receive some goodies! We'll be sharing more about that later this week. We'll be posting the new challenge today on Instagram. Join us this month!!! My instagram name is slaughteren and Andrea is andrea2220. Join us and follow along! I loved your little look back today! And fun twist on your photo challenge!!!! I think the twist with the IG Challenge is brilliant! Love that idea!!! Love your fun little twist on the challenge! Sounds like April will be busy and full of fun for your family! I also love the photo challenge every day! Gives me something to think about that's out of the ordinary! Lots to look forward to for you guys with birthdays & Easter! !